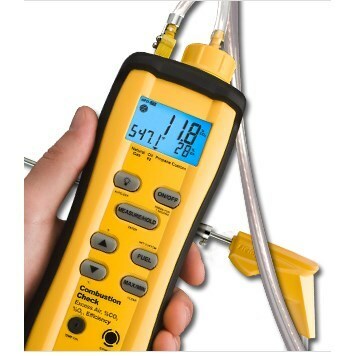 The SOX3 Combustion Check is a great tool to easily tune furnaces when a full combustion analysis isn't necessary. Designed specifically for HVACR pros, the SOX3 provides all the essential measurements needed to tune most combustion equipment. It directly measures %O2 and flue temperature, and calculates %CO2, %Excess Air, and combustion efficiency. Like all Fieldpiece products, the SOX3 Combustion Check Tool was designed to help HVACR professionals do more with their tools. From custom fuels to field-replaceable oxygen sensors, the SOX3 can be trusted to measure up for any furnace tuning job.